She's not crying — she's dissenting! 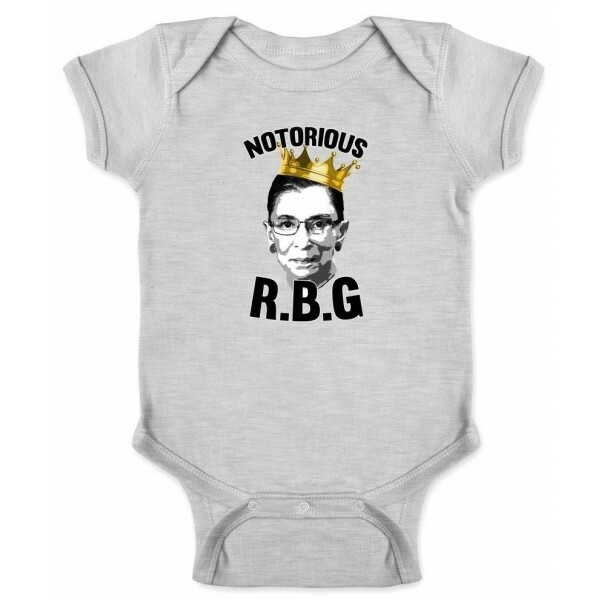 Pay tribute to an American feminist icon with this Notorious RBG onesie from Pop Threads. 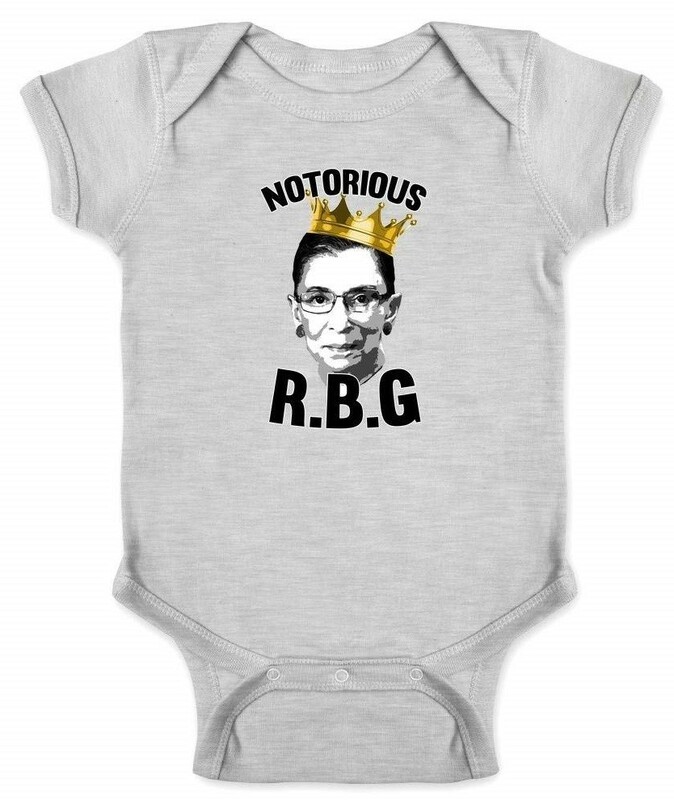 This pre-shrunk ringspun cotton onesie is super soft and has overlap shoulders and bottom snaps to make it easy to get on and off. It's available in your choice of five different colors, too! Plus, parents will love that it's made in the USA. Available in 6 month, 12 month, 18 month, and 24 month sizes.